For the past couple of months, I've been obsessed with Neil Cicierega's amazing mashups. Basically, he does an unbelievably amazing job of squeezing tons of irony and kitsch out of a bunch of 90s and 2000s songs. His work has a very DIY feel, and it very much comes out of the internet culture, but the work is really impeccable and just sooo funny. btw, I just looked up the links for Neil Cicierega and ended up spending the last two hours listening to his music again. Anyway, imitation is the sickest form of flattery so I decided I would play around with mashing up a couple of tunes myself. I've always liked the idea of merging dance music with country music because the only famous example is the notably horrible Cotton Eye Joe. After deciding to do a country tune merged with a dance songe, the obvious choice for me was the classic wear your suncreen of the south: Hope you dance by appropriately triple named Lee Ann Womack. For the dance track, I decided to just mash it up with an instrumental of Marshmello's Alone for the sole reason that I just think that track is great. Here's my mashup on youtube dubbed over clips from the original music video. It's not great, but I kind of like it in a weird way. Read below for more on how to make a track like this. All the music editing took place using the Audacity open source music editor. The community surrounding this software is great and there are already a ton of tutorials to get you started. I'm going to focus primarily on the process for grabbing a bunch of music that you like off of youtube and putting it together. The first step is to download music. I got all of mine off of youtube using this site. Since this was just a fun project, I didn't fuss too much with getting really good audio. My primary focus was trying to get music with audio and instrumental separated so that I could merge them without having the instruments conflict. I was able to do that for Alone, but old country songs don't have a very wide remixing community so I had to make due on my own. I played around with a couple of the examples in this tutorial from Audacity. They worked to a certain degree, but there are still fragments of instruments in the background of the Womack track. I just went with it and tried to incorporate them in a musical way. Once I had the music and vocals more or less isolated, there was one crucial step called beat matching. basically, the two songs were in very different tempos so I tried to get them close to the same speed so that I could merge them without the two tracks getting out of sync. To do this, I first estimated the bpm of the songs by tapping to the beat on an online bpm tool. 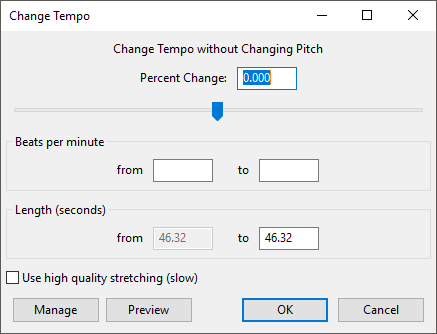 This gave me a relative difference in tempo, which I could use to adjust one of the tracks using Audacity's change tempo feature. After this, basically all I did was slice audio clips, and copy and paste them into an Audacity project with the instrumental running in the background. I changed the pitch of the clips in different ways in different places, but I just adjusted the pitch by ear until it sounded sort of OK. Occasionally, I'd just start throwing random effects onto clips, but I never really kept track of what I was doing so I can't really describe what I did there. Long story short, you just have to play around for a long time to massage the clips into the surrounding beat track. This took me about 4 nights of continuous work and then another maybe three or four where I would just poke around for 15 minutes. I suspect that the next time I do this it will take significantly less time, but I will end up with a significantly better project. I didn't have too high of hopes so the product I ended up with was good enough for me to finalize the project and move on. Finally, I really wanted to see this weird new song stitched back in with the original music video. So I went about getting a copy of the video from youtube. If you don't know already, all you have to do to download a youtube video is add ss to the url as described here (and a moillion other places online. 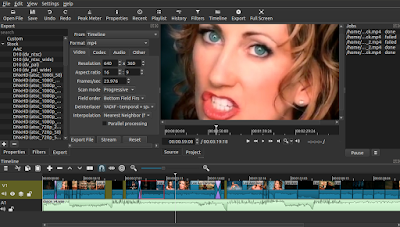 After you download the mp4, you can edit in any video editor. I used this really janky program called ShotCut, but I would not recommend it. It served its purpose for me, but I'm sure there must be better video editing packages out there. I won't describe how to slice and dice a video up, but I will give you a few suggestions if you want to upload a copyrighted video to youtube. After you do all the editing, just add a ton of crazy filters so that none of the original video appears in its original condition in your final product. Otherwise youtube will block it automatically. Note: I think this is all legal because it falls under fair use, but then again, I'm not a lawyer so if anybody cease and desists you, just take it down and don't fight them. That probably won't happen if you make something as crappy as the music I made, but keep it in mind.